MTHC 680 Electronic Music Composition II (Kip Haaheim) - This course focuses on electronic music composition and computer technology as it is used in multi-media. Although we always cover the basics of traditional collaborative media like film the specific content of the course varies each year depending on the nature of the course's final project. This year we are doing an interactive web-based project with architect/artist John Shreve in conjunction with various KU Research Units that examines a unique geographical location on campus in which widely various human activities intersect. A couple of years ago we created a show based on the ecological/agricultural research of Perfecto, Vandermeer, and Wright in their book "Nature's Matrix". 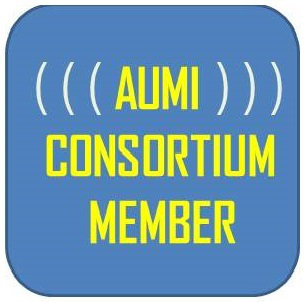 I use the AUMI software in the class as an example of what sort of thing is possible with cutting edge technology if you think outside the usual expectations. We look at it as one example of how one might use video tracking as a controlling mechanism.